Beach developed a bespoke web-based administrative tool to streamline the daily business processes of the FBU Lifelong Learning team. To create a bespoke solution to the FBU Lifelong Learning team’s efficiency issues of tracking and handling learner progress, which consisted of endless printing, faxing, scanning, posting and emailing. A single destination for learning staff throughout the UK was established to centralise the FBU’s tracking of learning across the country. 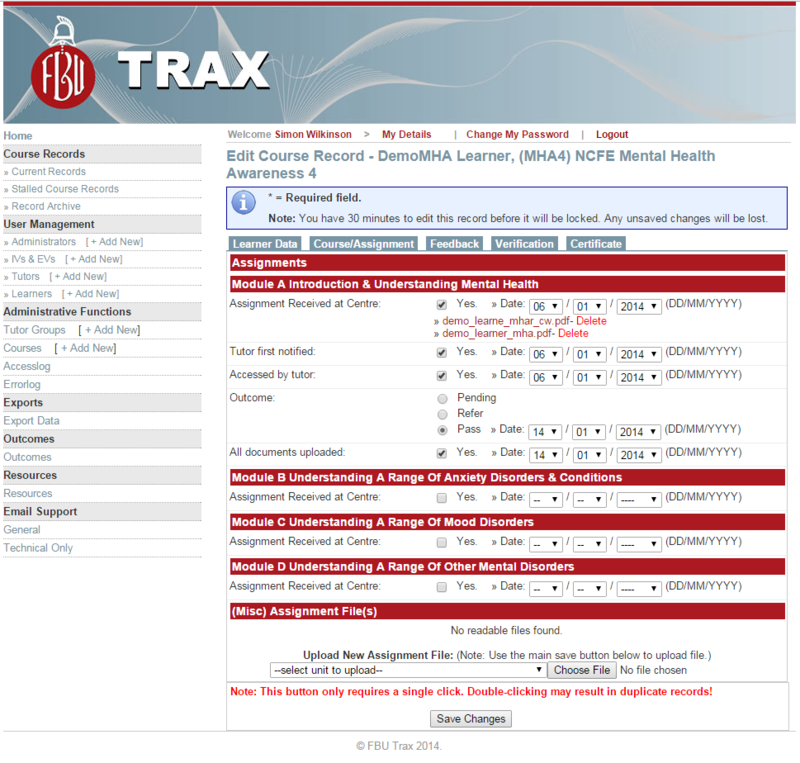 Set up with several different access levels to allow only information and functionality relevant to the person using the system, Trax contains a variety of functions such as data exporting to Microsoft Excel format, file and assignment uploads and automated email notifications. A centralised point for tutors to send feedback to learners also maintains an audit trail for administrators which previously did not exist. Trax has made a major impact on the efficiency of the FBU’s Lifelong Learning programmes since its development in 2011. With the on-going support of Beach, Trax has continued to evolve to fulfil the changing needs and wishlists of the FBU’s top level administrative team in Northumberland.